For the past 13 years, my day has begun with a drive to Northwestern University. The first time I made that drive was in the fall of 2001, as an 18-year-old incoming Northwestern freshman driving my parents’ silver Dodge Grand Caravan from their house in Park Ridge. 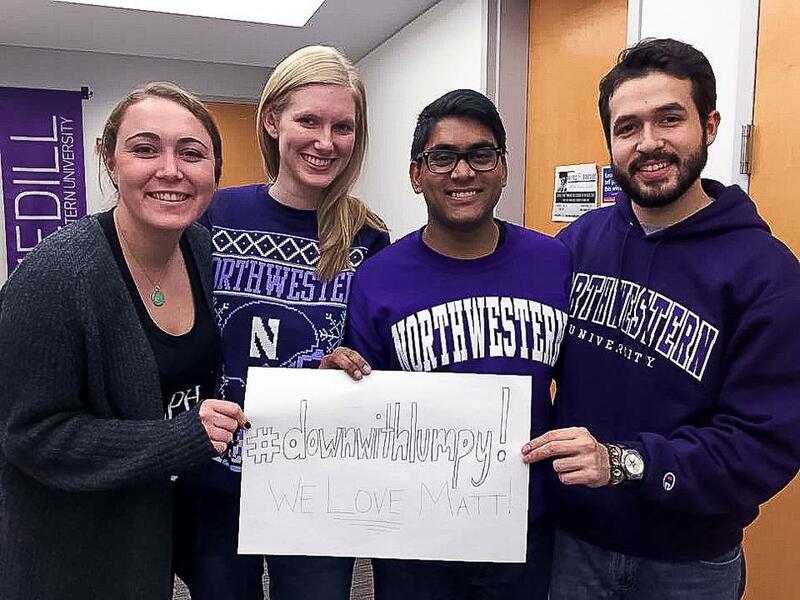 Northwestern was an unfamiliar place that seemed almost inhospitable to commuter students, and I wasn’t sure what my NU experience would be like. When I make that daily commute for the last time this week, I will be a 31-year-old communications professional driving my Honda Civic (license plate: CATZ) from the house I own in Park Ridge. And Northwestern is my second home. 2001-2014. That hyphen represents all of college, all of grad school and my entire working career. Somewhere along the line, Northwestern became one of the defining features of my life. I can’t be expected to move on without a long-winded, somewhat navel-gazing blog post about it. When I look back on the last 13 years, I realize that the fat envelope emblazoned with a purple “WELCOME” and a congratulatory letter from Carol Lunkenheimer (you don’t forget a name like that) that I received in December 2000 was much more than my ticket to a prestigious university education. That early decision admission fundamentally altered the course of my life. It led to two academic degrees, two full-time jobs, an adjunct lecturing gig, two (and hopefully three, soon!) brothers who followed my purple footprints to NU, dozens of dear friends, hundreds of acquaintances and more life lessons and unique experiences than I could ever cram into a memoir. Meeting Tom Hanks when he moved his son into NU. I approached him at Norris, shook his hand and asked if he wanted to be in my Move-In Day video. He politely declined. “We’ll do those things some other time.” I’m still waiting, Tom. Producing a half-hour documentary on NU architecture that ran on the Big Ten Network. This labor of love took almost a year to complete as a side project for me, but it was well worth it to have something I produced air on television! Watch it. 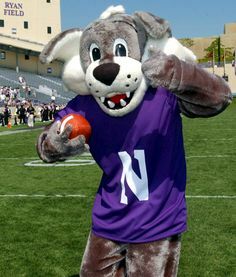 Starring as Willie the Wildcat in Northwestern TV commercials. My brothers and my family’s silver Dodge Grand Caravan even got a cameo! Watch it. Starring as a random student in Northwestern’s previous TV commercials. Blink and you’ll miss my seven appearances. Watch it. Riding a golf cart around campus while filming Northwestern TV commercials. This one actually was on my bucket list. Making NU a little more fun with things like Stuff Northwestern Students Say and the 100th anniversary of the fight song contest. Being spitting distance from celebrities and famous alumni such as Tom Hanks, Seth Meyers, Eugene Levy, Stevie Wonder, Garry Marshall, Cloris Leachman, Mike Wilbon, Christine Brennan and more. And Coach Fitz. Going behind the scenes and/or on the sidelines at Wrigley Field, Ryan Field, U.S. Cellular, the Art Institute, the Museum of Science and Industry, the Field Museum and more. NU has its finger in a lot of pies, and I got to be a fly on the wall of the pie factory. As I move on to seek new challenges and opportunities as manager of digital communications for Catholic Extension, I rest easy in the somewhat shocking knowledge that I really don’t have any unrealized goals from my time at University Relations. I’ve worked with incredible colleagues who have taught me so much about myself, my skills and my career goals. I’ve extended my stay at my alma mater longer than I ever thought possible, and I’d like to think that the hundreds of videos and thousands of social media posts I’ve contributed have served to spread far the fame of our fair name in some way, even if that can’t be quantified exactly. Although I will remain at Medill as an adjunct and return to campus to teach in the evenings this fall, I will miss my daily commute to Northwestern. The school has been both a destination and launching pad for me. I’m turning the keys over to someone else now, and I can only hope they realize how precious this place is to me and the thousands of other students, alumni, faculty and staff who call this place home. It’s been an honor. Go ‘Cats.